UK mobile phone retailer Phones 4u has announced today that it will be launching the Samsung Omnia M exclusively. The Windows Phone is said to be arriving into the UK on August 1st when Phones 4u will exclusively stock the device for two months until it opens up for other retailers. 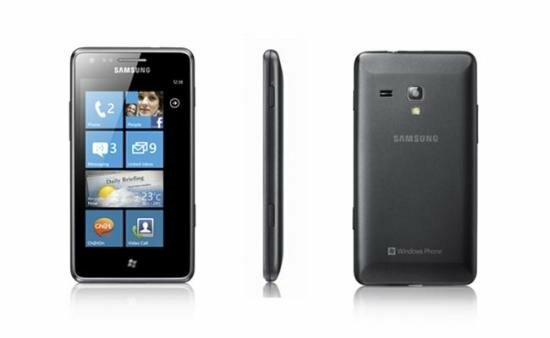 The Omnia M sports a 1Ghz chip, 4" S-AMOLED display, and 4GB of storage, perfect for those who don't require a powerful device and who don't particularly want to splash out on a shiny new Lumia 900. Phones 4u has been able to bag a handful of exclusives on the Windows Phone platform, including the white Lumia 800 / 900. "We are delighted to exclusively offer the Samsung Omnia M, Samsung’s latest handset running Windows 7.5, two months before it will be available via any other UK retailer. Our track record of launching Samsung devices and Windows Phones is incredibly strong and our dedicated Samsung zones in our Oxford Street and Westfield London stores provide the ultimate destination for anyone wanting to buy this Samsung device with Windows Phone. Our retail team is extensively trained on, and passionate about all Samsung products." It's interesting to note that while Phones 4u will be exclusively stocking the Omnia M for two months, there's no promotion on the website as-of-yet plus no mention of the Windows Phone on "Coming Soon" or "Just Arrived" pages either. Though we'll take their in-store Samsung Zones, which should offer the device (and Windows Phone) more exposure to consumers. Pricing has also been revealed and you'll be able to pick up your own Omnia M, for free, on contracts starting from just £20.50/mo. Alternatively the handset is available SIM free for £289.95. Will you be picking one up when it becomes available? Be sure to head on over to Phones 4u to pre-order the Omnia M.